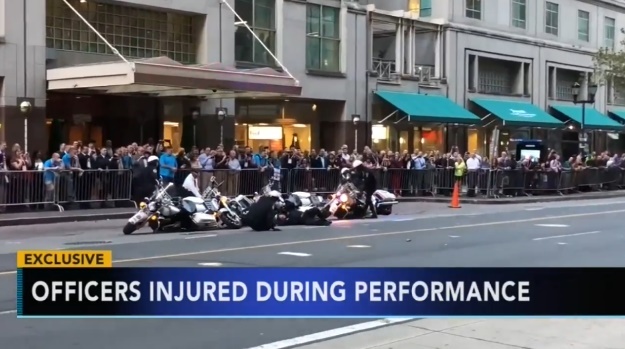 Three Philadelphia Highway Patrol officers were injured during a motorcycle performance in Center City Sunday evening as part of the International Association of Chiefs of Police conference, reports WPVI. They were performing in front of hundreds of spectators from around the world who were attending the conference. All three officers were treated at Hahnemann University Hospital and released. Police have not released the identities of the injured officers.